So what terms should a tenant be seeking in the current climate? As mentioned above, the tenant should be seeking regular break options with no pre-conditions attached to the exercise of the option. If a break clause has a pre-condition that the tenant may only break provided there are no outstanding breaches of the provisions of the lease, a trivial breach of a repairing covenant could be fatal to the tenant’s break option. There is no need for break options to have any pre-conditions as the landlord has its remedies for breach of the lease which can still be enforced even if the tenant is breaking the lease early as the break clause will make it clear that the tenant’s break option is without prejudice to the right of the landlord to take action against the tenant in respect of a breach of the lease which had occurred prior to the break option being exercised. If the premises are in a poor state of repair then the tenant should seek to qualify the tenant’s obligation to repair so that the tenant is not obliged to put the premises into any better state of repair and condition than at the date of the lease as evidenced by a schedule of condition agreed between the parties and attached to the lease. 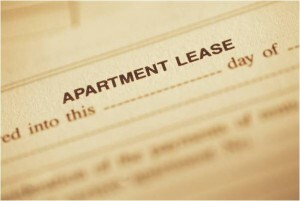 The use of a schedule of condition is an evidential record to avoid disputes later as to the actual condition of the premises when the tenant first took the lease. A tenant cannot by law be obliged to hand back something different to what the tenant was given in the first place unless words like “to put into repair” are used in the lease. Service charges used to be notoriously open – ended. A tenant could end up with almost unlimited liability in respect of the service charge. Whilst the tenant’s solicitor would ask to see 3 years audited service charge accounts, this is no guarantee that a major item of expenditure might not be looming in the near distant future and if the landlord has not built up a sinking or reserve fund for major items of capital expenditure then the burden can fall very heavily and unfairly on the current tenants. So tenants should be asking to limit the service charge so that their liability can never go beyond a certain figure in any year of the lease. This is known as a service charge cap. Of course, if you limit the landlord to a certain maximum figure each year, you will most likely find that the service charge is always that figure and will never go below that figure because the landlord will ensure that the figure is the maximum possible to make up for the fact that some years the service charge will be large but the landlord will only be able to recover up to the cap. If the term is a decent length then the tenant should have free ability to assign the whole of the premises to another party subject to the landlord being satisfied that the assignee can meet the obligations in the lease. However, the tenant should also consider including the ability to underlet not only the whole premises but permitted parts eg. Whole floors. This will be subject to the usual safeguards but underletting part could be very important for a business where the space is surplus to requirements. Charging should also be permitted because it cannot really prejudice the landlord by having the lease charged to a lender. Some lenders will want to include in the lease provisions requiring the landlord to give notice to the lender before the landlord takes any action to forfeit the lease either by peaceable re-entry or by forfeiture proceedings in the court. Most courts would then not order forfeiture if the lender comes forward and is prepared to remedy the breach especially if the breach is just unpaid rent. It is very common for landlords to “contract out” of the security of tenure provisions of the Landlord and Tenant Act 1954. Under the 1954 Act, tenants have an automatic right to renew their lease on the expiry of the term upon terms broadly similar to the existing lease. It is possible for the landlord to oppose the renewal but if the tenant is not in breach of the lease, the landlord usually has to pay the tenant compensation calculated by reference to the rateable value of the preemies. The idea was to preserve businesses goodwill and save them being turfed out on the street. However, landlords all too often exclude the 1954 Act regardless of the circumstances. In this market, tenants should be resisting this and insisting that their rights under the 1954 Act are preserved. So the power has shifted to tenants and tenant should be demanding more favourable terms. The above represents just a small selection of possible terms which tenants should be asking for. For a full booklet setting out all of the possible terms tenants should seek when taking commercial rental property, email us at dominic@beetonedwards.co.uk and we will send you the free e-booklet.